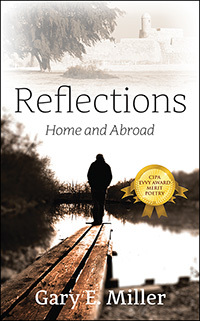 Gary E. Miller’s “Reflections: Home and Abroad.” Writing poetry is like reliving pieces of the life you have chosen at various focused times. The author has kept a lifetime journal expressing experiences and ideas of his childhood and his many world travels…such as the forest where he played in the Black Hills, a ’53 Ford he drove to a drive-in movie, having a few beers at the Old Style in Deadwood, in Pearl Harbor as a USN sailor transporting generals and senators, Peace Corps adventures, the Wind River Indian Reservation and many, many more. Previous Previous post: This month you can receive FREE Author Platform Set-Up Through Social Media when you start publishing today!